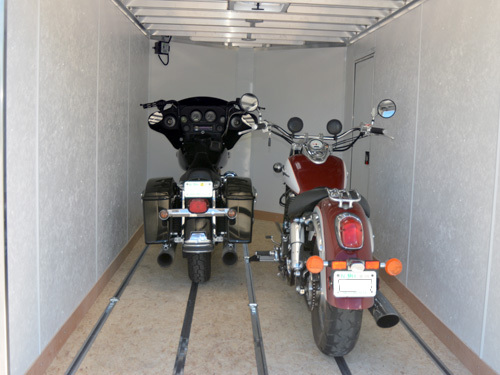 Looking for one enclosed trailer to haul your motorcycles in the summer but is still ready for your sleds when snow flies? 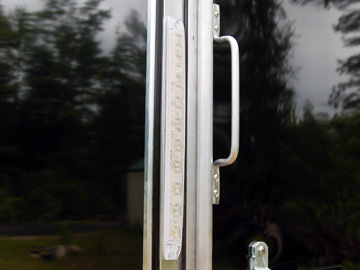 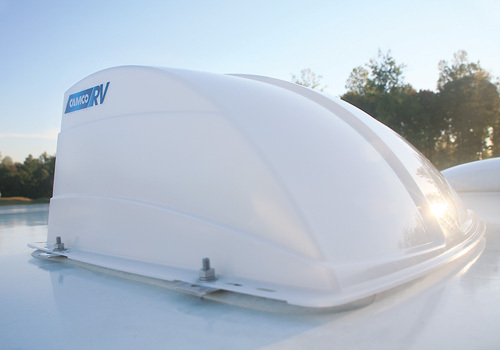 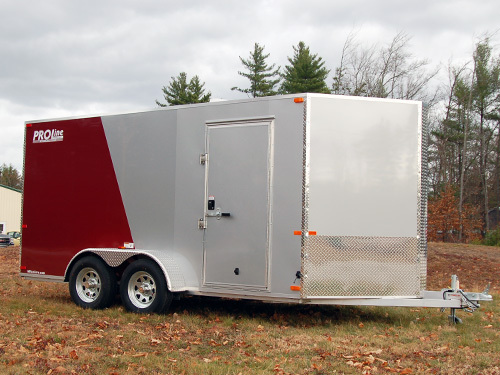 Our Multi-Sport enclosed trailers mean you’re ready no matter what season it is! 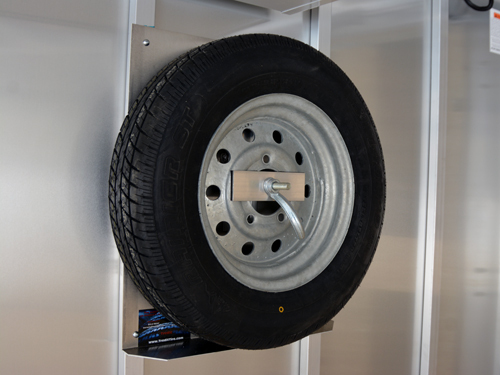 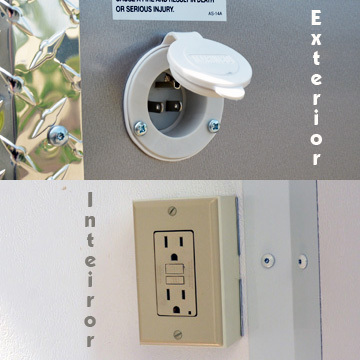 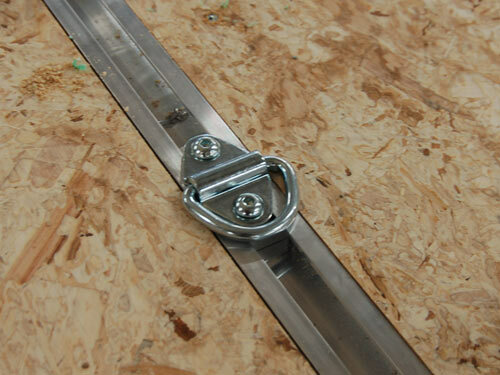 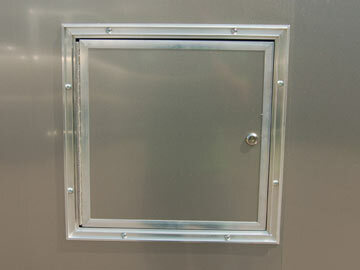 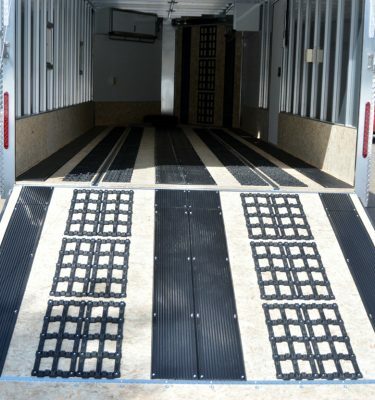 Built standard with 5 of our Quick Adjust Floor Rails for ultimate versatility! 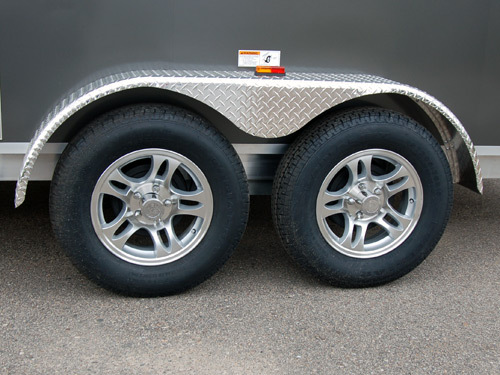 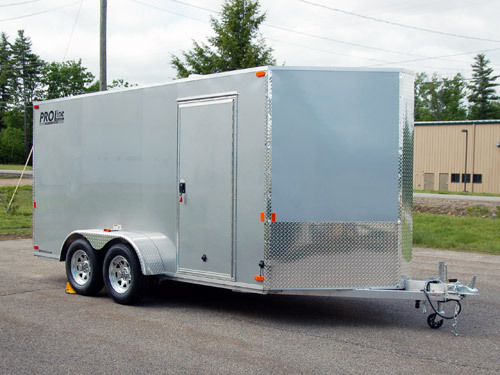 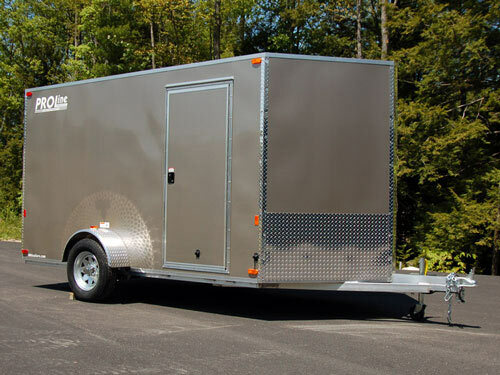 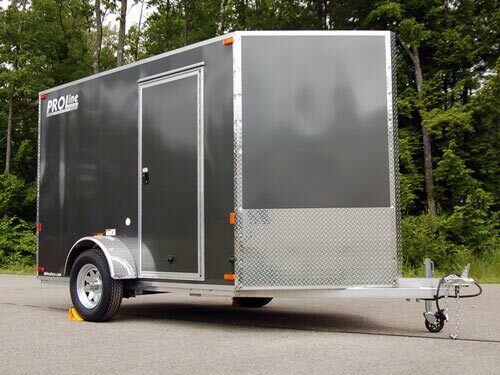 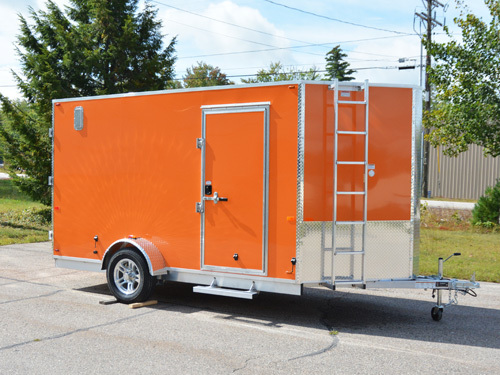 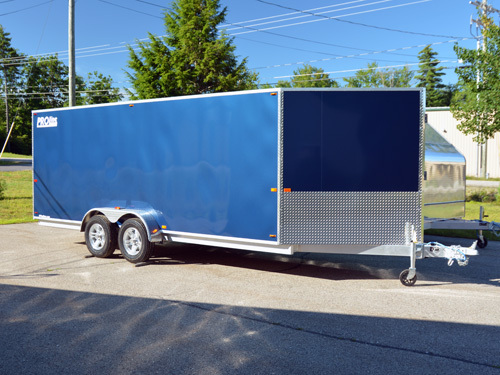 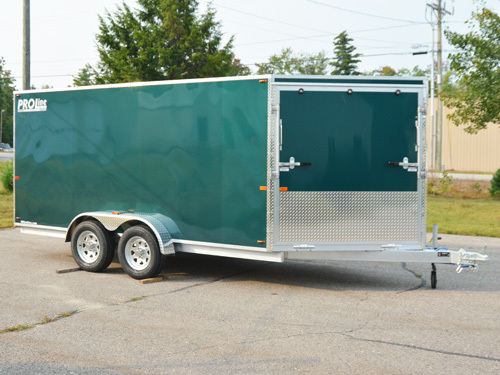 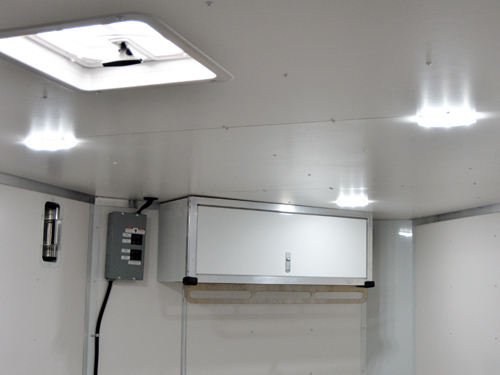 This trailer also has a 3″ lower deck height than our standard inline snowmobile trailer to provide an easier grade into the trailer for the motorcycles and also comes standard with white vinyl finished walls! 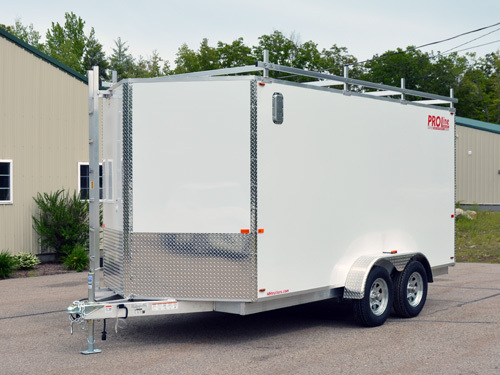 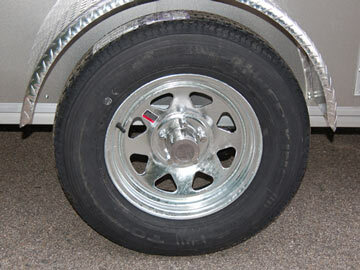 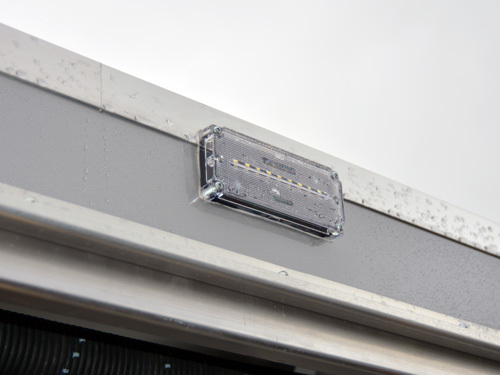 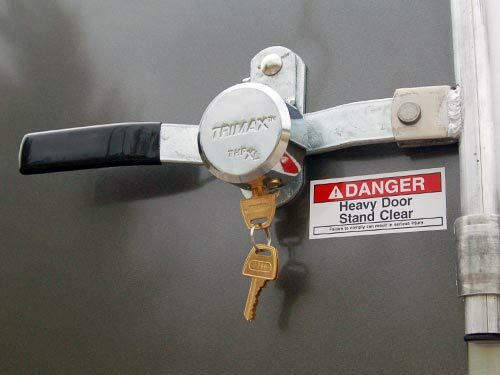 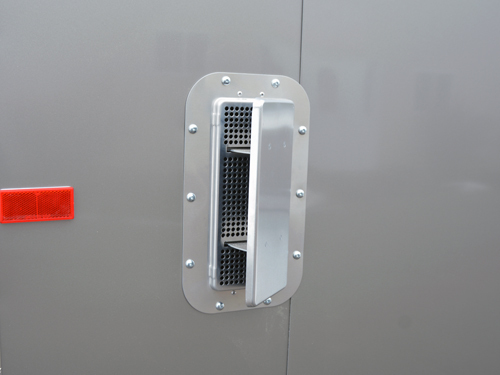 This trailer comes loaded with lots of great features. 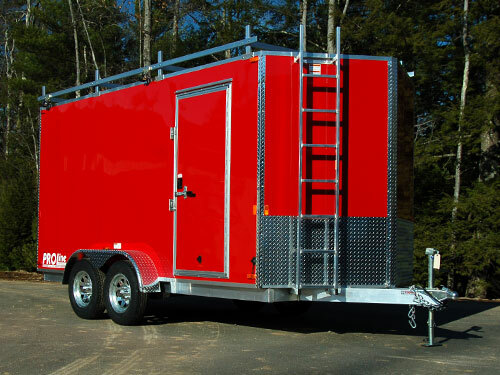 Front and rear ramp doors both with spring assist, side door, popup roof vent, stoneguard on the V-nose, multiple interior lights, white vinyl finished interior, and super bright LED trailer lights. 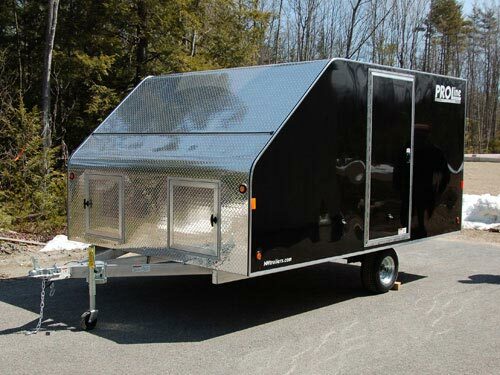 This is a year-round toy hauler. 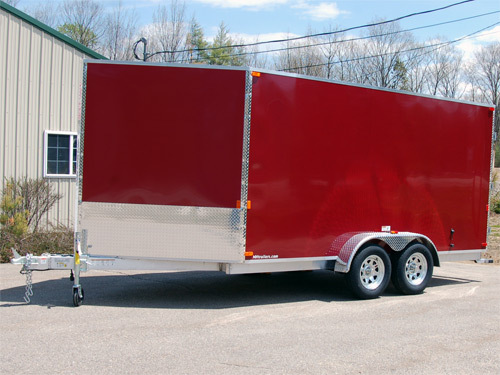 Overall Length 21'5" 23'5" 25'5" 27'5" 29'5"